Quick announcement today. I’ve been working on updating the back-end of the website to reduce spam comments so I could open them up for more general commenting. This was all so I could launch the new website for Project Dunwich. The project now has an official name. Check out the main website below for an updated description of the game. It’s not much yet, but at least I have something to call this game now. You can also get to the site through http://kilstowgame.com/ or http://strangerinkilstow.com/. I’ve been pretty quiet on the blog for the past month, and I’d like to apologize for that. I have a tendency to get caught up in my game’s development and forget about pretty much everything else. This whole player interaction piece has always been hard for me, and I guess I just let it slip for a while. No matter, you’re not here to listen to excuses, let’s get on to the good stuff. It’s tilted the wrong way because try as I might I could not get it to balance on the curve. 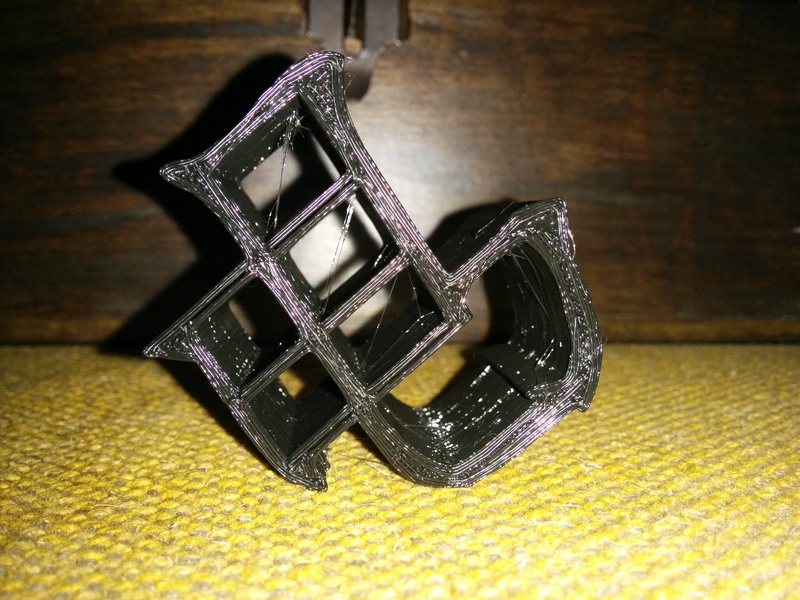 My wife has recently been getting into 3D printing, and this was one of the first things she printed. It hasn’t been sanded/finished yet in this picture, but it’s pretty damn cool as-is. While my wife did this all of her own accord, it has spurred in me a desire to make some merchandise available for both the company and the game as it moves closer to finish. I’m going to try really hard on the marketing angle of this game once I get the first vertical slice ready, and shirts and other physical objects seem like a good way to aid that. I do eventually want to go to conventions to present, and this has got me thinking about aspects of that I hadn’t even considered before. Plus, 3D printing is just cool. One of the things I want to do differently this time around is the way I approach the the promotion of the game. In Vivo was made in a very linear fashion, and I didn’t have a demo ready until just a few weeks before release. This, combined with the fact that I was so set on releasing it that I didn’t really give adequate time to content creation, meant there was very little time for marketing, and by the time I was able to I was so focused on finishing that I dropped the ball on it completely. The fact that it sold any copies at all given my efforts at marketing it still amazes to this day. That being said, this time I’m trying to get a polished demo out as soon as possible. We call this the vertical slice. Essentially this is a cross section of the whole game, a short amount of gameplay with the most important systems in place and all of the polish of the finished game. I’m still quite a ways off from that goal, but I feel like I’ve overcome the final hurdle in regards to things I’ve never done before. I’ve made procedural level systems, I’ve done stealth and platforming and AI, and I’ve done sound effects and music. Now that I have the lighting and animation systems finished, all that’s left is making assets, and doing things that I’ve done before in code. That’s not to say it will be easy or fast, but at least I can better predict how long it will take and what obstacles I’m likely to encounter. 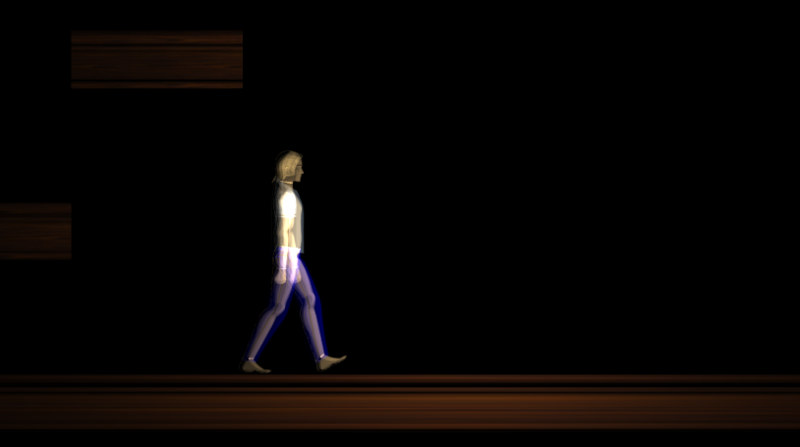 Since the last update I’ve been focused on integrating the Sprite Lamp shader that I wrote with the existing Spine animation system I had been using. This presented some unexpected and maddening challenges. While I’m not 100% satisfied with how it is right now, it’s good enough to move forward for now. 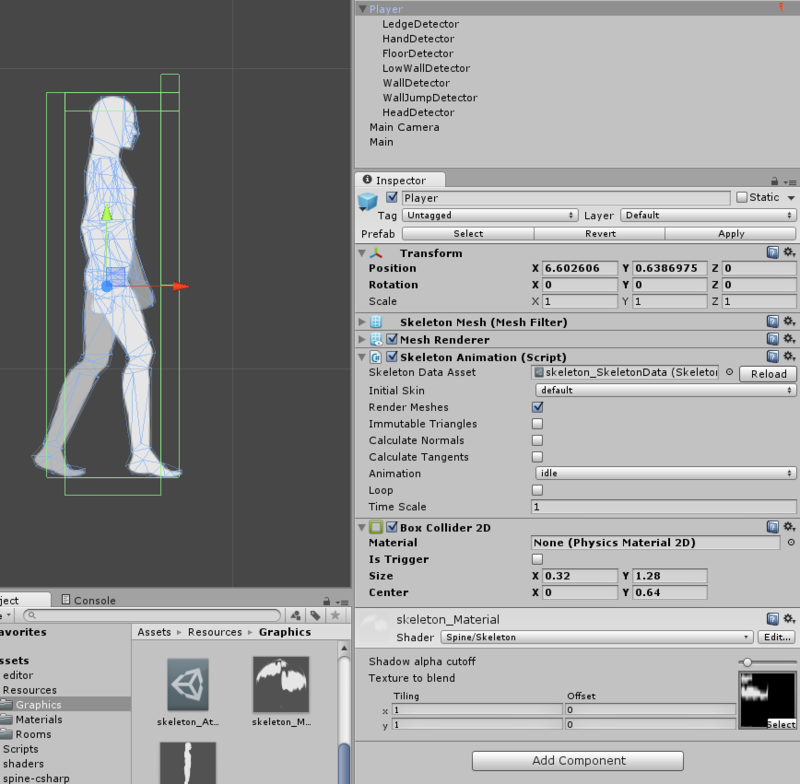 The crux of the Spine integration problems was due to the way Unity handles lights for objects on the same layer. It seems to be that Unity processes all objects on the same layer in one batch, first rendering the ambient and directional lights, and then adding each dynamic light one at a time to that initial render pass. Since the lights don’t know or care which object was drawn first and therefore occluded by other parts, it blends on the lights for everything to the top of the first render. Things that were covered up before (like the arm behind the body) have their light values blended onto the image anyway. It creates a really bizarre ghostly image. While this may be a cool effect for some of the more bizarre Lovecraftian horrors, it seems like a bad fit for any protagonist who isn’t Ghost Dad. The good news is that after spending almost two weeks trying to fix this issue, I have something that works. It’s not ideal, and creates some odd graphical artifacts that I haven’t exactly figured out how to remove, but it works. The strategy here was to explode the Spine model on the z axis by a very small fragment so that each piece was on a different plane. This is irrelevant for rendering position, since the orthographic camera used for 2D ignores the z axis, but it lets me implement z-axis sorting for determining which pixels to write. Thankfully it looks like the guys over at Esoteric Software had planned on adding this as a feature at some point, and changing the runtime to make this work is literally a one-line change. Using this, I can test for the z values at each pixel to determine which object gets drawn and only draw that object. The problem is that I can only pick one object, and it’s all or nothing. This means I lose the translucent anti-aliasing effect on the edges of each object, since they can’t blend down to the next lower object because it isn’t even processed. The hard edges are like knives in my eyes. 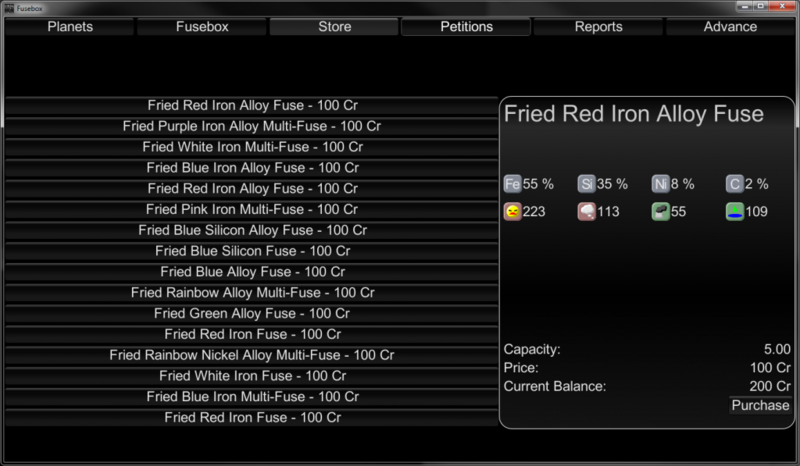 On the plus side I get rim lighting for free. I have no idea where that effect came from, I sure didn’t do it. It’s functional, and I definitely prefer it over the bizarre apparition it was producing before, but I would love to lose those hard edges and weird unlit pixels on the fringes. I think I can fix some of them, and with how dark the game will be, the hard edges shouldn’t be too noticeable, but settling for less than ideal always stings. This works for now, and it may be what the game ships with barring a few bug fixes and optimizations. Either way, it’s off the plate for the vertical slice and I can finally move on to other things that aren’t lighting. The next step in creating something that looks presentable is creating a character that moves naturally. 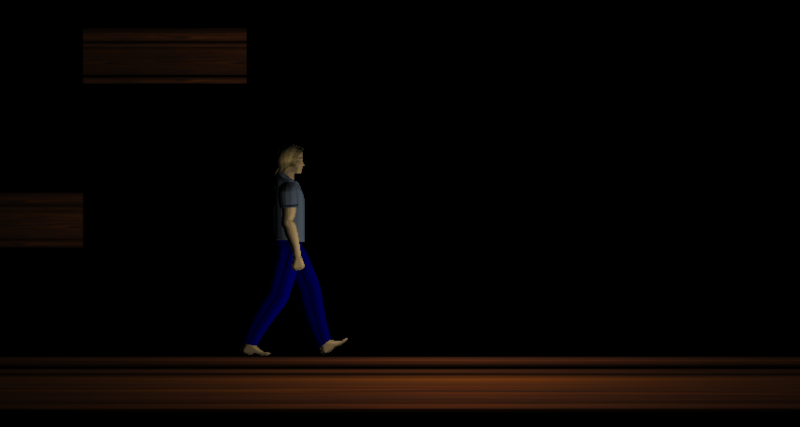 While I was working on the lighting system, I was continually tweaking the walking animation. It’s in a place now that I’m pretty happy with, but there’s a lot more to this game than just walking. I have laid out a list of animations that I need to create to handle all of the gameplay systems that will be in the slice, and though there’s quite a few, creating and tweaking the animations is incredibly easy with Spine. Here are the walking and running animations that I have so far, and over the next week I hope to add jumping, sneaking and maybe some of the ledge animations. I should be back next week with more updates, and hopefully a real name for this game. I’ve got something picked out, but I have some paperwork to do before I can announce it. For now, though, I have to fix the tear in those pants. I mentioned in my post last week that I was on the fence about purchasing Sprite Lamp. I’m happy to announce that fence is long gone. After a cordial interaction with the developer, I went for it. This post is going to be mostly about that, so there will be lots of pretty pictures. After getting my download link and cracking open the software, I was immediately struck by the fact that I had no images suitable for lighting. The body work I had done in the past was fragmented and didn’t apply to the new Spine animations. I wasn’t sure how this would work with the vector graphics style I had going for my images so far, and I had no idea how to actually shade anything in that style either. 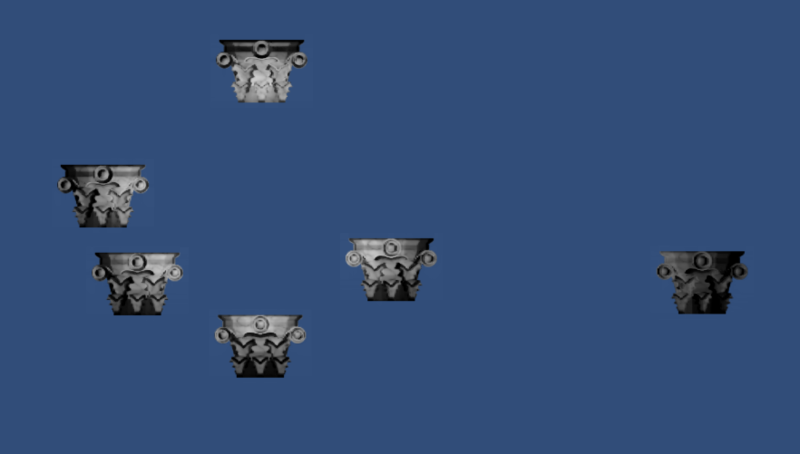 I sketched out the outline of a Corinthian column header, exported it into gimp, and set to work trying to make gradients wrap around complex shapes. Needless to say, this didn’t work. I found a plugin that did a good bevel effect and set to using that to shade my object. It sort of worked, but it felt very round and fuzzy. Initial inputs and static output. Apparently I can’t tell left from right at times. Not so much teddy bear fuzzy, as doesn’t brush its teeth fuzzy. It worked, sort of, and I had an object reacting to the light. I was ecstatic. I knew I could do better though, so the next day I set out to do just that. I had always wanted something closer to cel shading than normal lighting for this game, and getting smoothly-lit input images had been an incredible pain anyway. 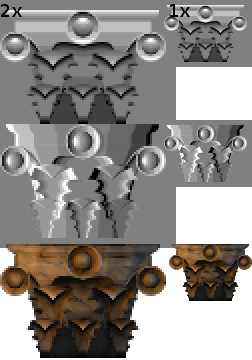 I decided to try and bake the cel shading into the lighting images used to generate the normal maps. This carried a couple of benefits. The first was that I no longer had to deal with creating perfectly smooth light maps. Creating cel-shaded input images in inkscape is pretty easy compared to making something perfectly smooth by hand or with linear gradients. It also means I don’t have to switch tools half-way through the process. The second benefit is that I can get something sort-of like cel shading without the somewhat erratic lines of light that normally come with those types of shaders. I wanted to test this quickly, so I made something very simple. Clearly my mastery of lines and circles shows how great of an artist I truly am. This proved the concept, but it didn’t exactly look amazing. It looks closer to claymation than it does to cel shading, but I was pleased with it nonetheless. To make sure that the style held up in more complicated pieces, it was back to the column header. This took quite a while as I’m no master artist. Figuring out what the shapes should actually look like with orthogonal lighting was the biggest challenge; there aren’t a lot of references with that kind of lighting. After several hours tweaking nodes, I felt like I had something that might be passable. I have to say that I’m shocked with how nice this turned out, though I guess I wasn’t expecting much. It kind of looks like a bucket. Catch the falling Cthulus mini-game, anyone? Apparently it just needed a new toothbrush. With that, I decided I was content with my asset creation pipeline and decided to actually try and put this into the game. One of the key question I asked the developer before I bought this software was if it had an implementation for Unity. He said it had one, but it wasn’t fully done, and it wasn’t a top priority. Ok, not a big deal, I can work with partial support. It turned out though that partial support meant something different to me than it did to him. Hard edges on lights, no alpha transparency support, and a general approach that didn’t look like it was actually built for unity. I was a bit dismayed, but to his credit, he did warn me. I initially tried to get it working as-is, and when I saw that lights just stopped at their edge instead of falling off I knew I was going to be writing shaders for the rest of the weekend. I kind of feel bad for that one off to the right. What did he do to deserve being ostracized? Prior to this weekend, I had never touched 3D lighting. I’ve dabbled in shaders for special effects, but dealing with lights was completely foreign to me. The included implementation had a whole lot of vector math that I wasn’t comfortable with, so I prepared myself for the long haul. Just getting it to where I had it had taken the better part of a day, how long would it take to make a new one from scratch? Not long at all, it turns out. Unity does, occasionally, make something really easy for me. The built-in shader lab made getting that shader up and running incredibly easy. It doesn’t support all of the features that Sprite Lamp offers, but for my purposes, it’s perfect. In a matter of a couple of hours, I had every feature besides shadows, depth, and pixel snapping up and running. A few minutes later and I had the whole thing integrated into my existing project. This is actually an awful screenshot to show off the shader. Programming: A+. Media: F-. It felt like a very productive week, and I’m looking forward to working on integrating spine, and getting my procedural decorator up and running in the coming week. These should be the last two graphical development pieces for a good long while. After this it’s all content and gem programming. This is when things get really exciting. Sorry I missed out on the post last week. I didn’t have work for Labor Day, and that threw me off schedule, and I just forget. Never you worry though, I’ve got you covered today. Aside from some general housekeeping and refactoring, I’ve really focused on two major aspects of the game in the past two weeks: physics and rooms. 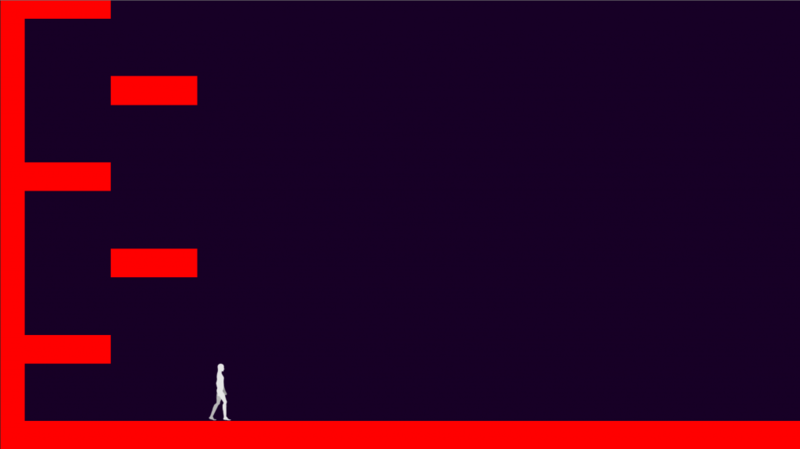 When I initially set out to learn how to make a platformer in Unity, I tapped into my experience from working with Box2D on both In Vivo and my Ludum Dare 29 entry. I had it in my head that there was a right way to use a physics engine for platforming, despite all of the advice to not use a physics engine and just handle the collisions yourself. This started out really well. I had a collider for the body, to handle actually running into things, and some trigger colliders for detecting various states. There was a trigger beneath the main collider to determine if the player was standing on something, and was able to jump. Implementing ledge grabs introduced two more detectors, one for actually hitting the wall, and one above it so it could tell the difference between a ledge and a wall. As I went on to things like wall jumping, stalling, and various other acrobatic skills, the number of detectors ballooned. On top of that, there was a lot going on that I wasn’t happy with in regards to the general way it was handling movement. I needed a different approach. 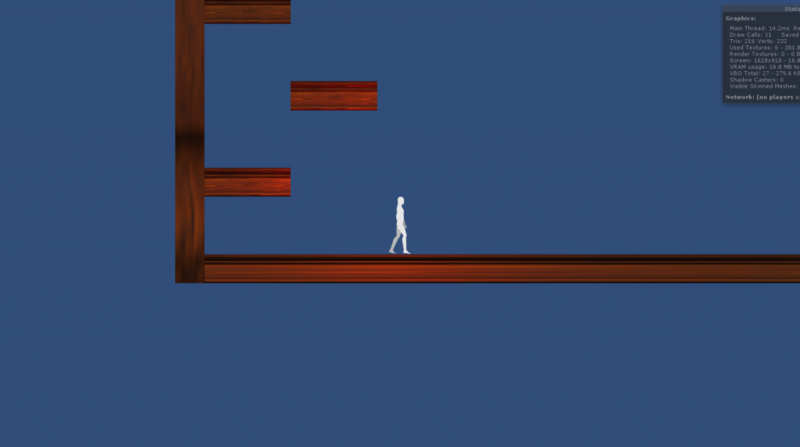 After reading as many articles as I could find about platformers in Unity, I decided it was time to bite the bullet and actually roll my own physics code. Thankfully Unity makes this nice and easy on me, with things like ray and box casting to do the brunt of the math. Essentially, I let Unity handle detecting collisions, and then I step in and deal with responding to them. This also gives me a lot greater control over the way movement is handled, which means I don’t have to figure out the right mass ratios of my objects, or relative friction between entities and the floor. I don’t need that level of detail from my physics, I just need a guy to walk around. I have done collision detection and response in the past, and even written a physics platformer from scratch just to see if I could. This was a walk in the park by comparison. I talked a little bit about the map generation in my initial announcement post, but for those that don’t remember, it’s going to stitch together a map from a bank of possible room layout. I have done procedural level generation in the past, and I have a good understanding of how to make a map that can be completed with the ability gates that are inherent to this type of game. I haven’t started on that algorithm quite yet, but I have laid out the design, and I know I’m going to need a lot of rooms and a way to load them. I’m using the Tiled map editor to create my levels. I used it for In Vivo and for one my Ludum Dare entries, and I’m pretty comfortable with its ins and outs. 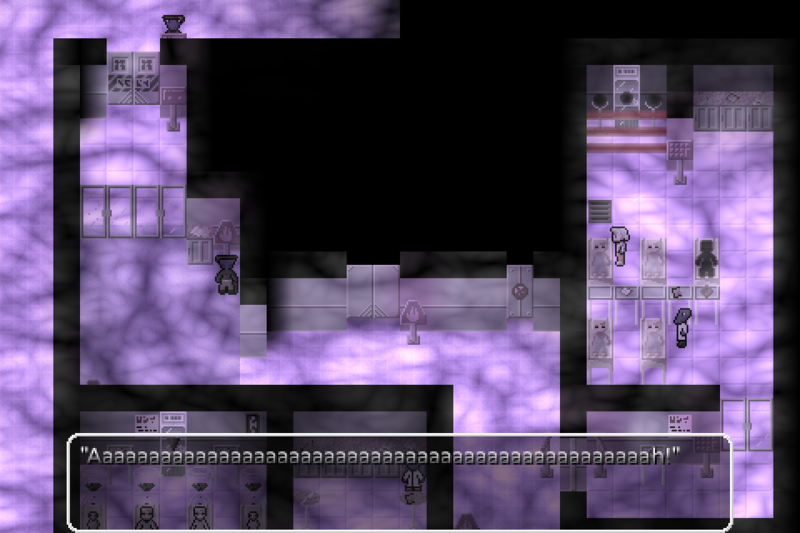 I threw together a basic room layout using the shape layers and set to getting it into the game. This is obviously just a bare-bones outline of what the levels will look like, and it’s missing things like item caches, secrets, hiding spots and doors, but it’s enough to test out the concept of actually loading levels. Up until this point I hadn’t attempted to get anything actually loading from an external resource that wasn’t a graphic. It wasn’t that difficult, though I did run into some file format issues. I used to build web apps, and I know the pain of the xml overhead all too well, so I had taken to the habit of exporting my levels in JSON format. It turns out that neither C# nor Unity have built-in JSON parsers, so instead of doing the obvious thing and using XML, I tried to find a good open source JSON library. After spending far too much time doing that, I snapped out of it, switched everything to XML and got the levels loading. Sure they were upside down and nothing lined up, but it was a start. After a few hours working out all of the bugs and making everything speak the same language, I had the level loading in game, and I was able to walk around in it. Success! Previous to my foot injury, I had been working mostly on graphics, and that has come to a standstill. 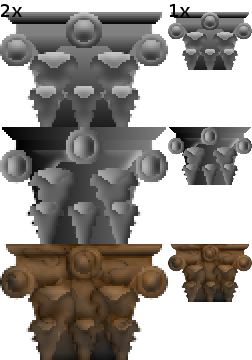 I’m very interested in using the Sprite Lamp tool to enhance my visuals from my shoddy attempts at 2D lighting, and I’m still trying to decide if I should go for it. In the mean time, I wanted to get something that people could actually play out sooner rather than later. It has been months since the announcement, and I don’t have anything playable yet. I’m hoping to get the fundamental platforming mechanics up and running and out to you all as soon as possible, so I can get the feel of movement just right. I would like for that release to also look pretty, but if I have to release it with a flat character and red squares for the ground, I will. Red on purple is such a nice color scheme. I’m hoping to make a decision on Sprite Lamp soon. It looks really nice on their site, and it can be used to great effect, like in Hive Jump (shameless plug: you should go pre-order the game, it looks very promising and I want the extra guns). As soon as I know if it will work with Spine in Unity I’ll have my decision, but since it changes the workflow I have to hold off on making things pretty for now. I’m pushing for a five-room demo, with all of the graphics, basic gameplay elements, and some sound within the coming month. It seems a bit ambitious, but now that I can actually focus on the project instead of the tools and framework, I’m hoping I can power through and start turning this crazy idea into a game. Posted in: News, Post Mortem. This past weekend I participated in the 30th Ludum Dare 48-hour competition and created Fusebox, an energy management simulation game. What follows is a summary of my experiences creating it, and what I learned from doing so. I had a lot stacked against me, and while I missed some milestones that would have taken the game from mediocre to great, I think that I did really well considering the situation. Before we can assess that though, we have to start from the beginning. One week before the Ludum Dare competition started, I was at the local rock gym with a friend of mine. They had more than just rock walls there, and in my first (and most likely last) attempt at this whole slack-lining thing, I fell and landed sideways on my foot. 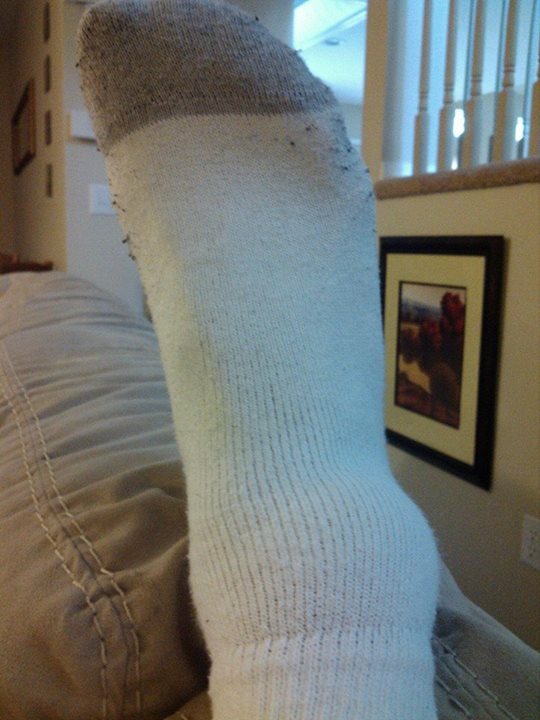 It instantly swelled up to the size of a potato, and I haven’t been able to walk properly since. I have made a pretty decent recovery so far, but one thing I can’t do is sit up. If my foot isn’t elevated above my head, it swells back up like a balloon and becomes incredibly painful. Since working on a computer with any amount of comfort necessitates putting your feet beneath the desk, I wasn’t sure how it would turn out. This is what you get for hanging out with extroverted adrenaline junkies. The downside to this was that I couldn’t get into a position that was ideal for either my foot or for writing code. I was at least slightly uncomfortable the entire time, and several times throughout the weekend I had to stop and move to the couch to give my foot a proper rest. This had two side effects. The first was that I lost a lot of development time to laying on the couch with my foot on the back. The second was that in order to try and take advantage of this time I brought my notepad and did as much design and planning as I could while I was away from the computer. This is probably the main reason the game is so complicated and over-engineered. This is the first time I’ve taken hand-written notes in years. I had to use one of those weird scratchy tube things to scrape my thoughts in stone. What is it Even Uniting? One of the main reasons I do these competitions is to force myself to try something new. I’ve used new engines, tools, or frameworks every time, and I’ve never made a game in a genre that I’ve done before. It’s a great way to learn a lot in a very short amount of time, and when you’ve been programming for a length of time measured in decades, it’s not a stretch to try and figure something out in that time frame. Since my current game project is in Unity, and I’ve been struggling with it since day, I decided that I would force myself to figure out and use Unity for this competition. In retrospect, I’m glad that I did, but it definitely slowed me down quite a bit. I also chose to do a very UI-intensive project this time around, for a couple of a reasons. I felt that my foot might get in the way, and I wanted something I could work on from the couch if the need arose. I also know that I hate writing interface code, mostly due to the fact that I’m not very good at designing interfaces, and I find the whole thing very tedious. I may have been setting myself up for failure here, but the goal was never to win the competition. In all of the work I’ve done on Project Dunwich, I have not even touched the interface yet. At one point I actually had to look up how to make a button. I was starting from scratch here. Despite using tools and techniques I was unfamiliar with, and dealing with Quato growing on my foot, I felt pretty good going into the competition. I had read through the list of themes, and I focused my thoughts on the highest rated candidates from the first four days of voting. This is by no means a fool-proof method of predicting the winner, and I wasn’t writing any code or committing anything to paper, just idly thinking about the design possibilities. I ran through some ideas while I went about my day, and initially I wanted to make something with more action, since my last two attempts sort of fell flat in that regard. Most of the ideas I thought of with any amount of action seemed either too obvious, or not connected enough to the theme, and UI was another focus area, so I settled for a management sim game. Once the theme was actually announced, I was a bit relieved that the top theme won out, since it meant I already at least knew what genre of game I would make for it. The idea was simple, connect worlds together through some interface, but give those worlds multiple, intricate layers of connection. I like to make my games hit the theme in multiple ways, and that satisfied that requirement. Connecting worlds to an energy source was the obvious take on the theme, but having them be linked to each other as well added a nice extra layer of depth to the interpretation. I’m not sure any ever notices these little touches, but it makes me feel better about my interpretations. I’m really happy with how the planet rendering turned out. It’s a shame I never got a chance to make that interface actually useful though. I immediately started with graphics, since I didn’t think there would be very many, and I wanted to get it out of the way. I drew up a mock interface, some icons for the planet stats, and some graphics for the planets themselves, and actually had something passable by the end of the first night. I have used Inkscape quite a bit over the past few months, but I had never done clouds or noise in it, so that was a fun little challenge to overcome. In the end, I spent less than four hours total on graphics, and I’m glad I didn’t have to fight with them at all once I got into the interface code. With graphics in hand, I set to create the game objects and renderers that would use them to actually put the images on screen. Unity actually made this really easy, though I have no idea if the setup I used is proper for an entity-component system. Since most of the game objects were just data containers, that didn’t take very long, and well before the half-way mark, all I had left was to write the code to process the interactions on the game objects, and then do a whole lot of UI work. After a brief stint on the couch to rest my foot, I started in on the UI. 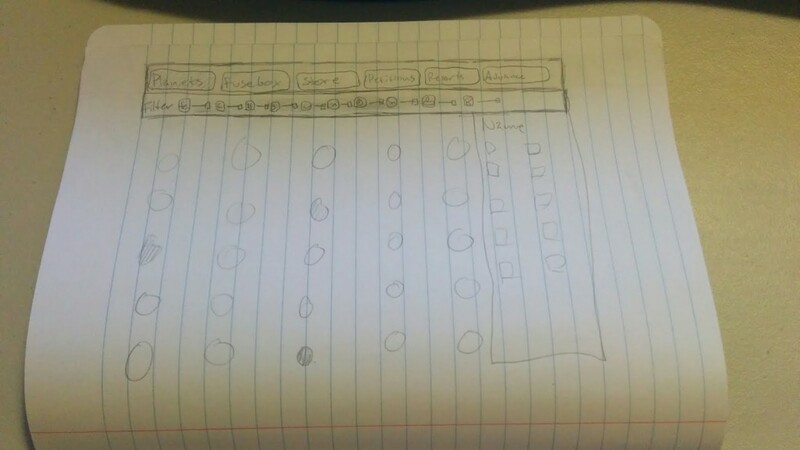 It is a damn good thing I don’t have to actually draw interfaces. I drew it and I can’t even tell what’s going on in some spots. As I mentioned earlier, I had no idea how to approach the interface. I created things using GUIText and GUITextures, I switched to converting screen coordinates to world coordinates and driving the UI with game objects, and eventually discovered the OnGUI method and settled on using that. Throughout the course of the day on Saturday I created as many interfaces as I could, to enable interaction with the game objects. I could just as easily have started by coding that all into the setup and working on the simulation, but that seemed like it would be harder to iterate on. Once I learned how to make the interfaces, it was a pretty smooth ride of create, test for usability, modify, repeat. I didn’t do things in a very efficient way, there’s a lot of copy/pasted code for UI stuff, but I just kind of zoned out and started writing. By the end of Saturday, I had about half of the interface done, and none of the game logic. That seemed like a bad situation to be in, so I set out to right that first thing on Sunday. Since I had spent a fair amount of couch time writing out notes on how I wanted it to work, that actually went pretty fast. The logic is pretty complicated, there are a lot of moving parts that determine how the hardware will react, and how the planets will respond to their situations. The biggest problem with all of that is that I couldn’t get the interfaces done in time to actually explain all of that to the player. My half-baked attempt at a tutorial. The best part is that I didn’t even get to implement some of the stuff I explained in here. Super useful. The final interfaces were the ones that told you what was going to happen when you advanced the day, and the one that you manage your circuit board. You know, where you actually play the game. I knew what needed to be done, but by Sunday my foot was in open revolt against me. I spent a lot of that final day on the couch resting, and with nothing to plan, I just sat there mentally writing interface code to draw out how I wanted it to look. 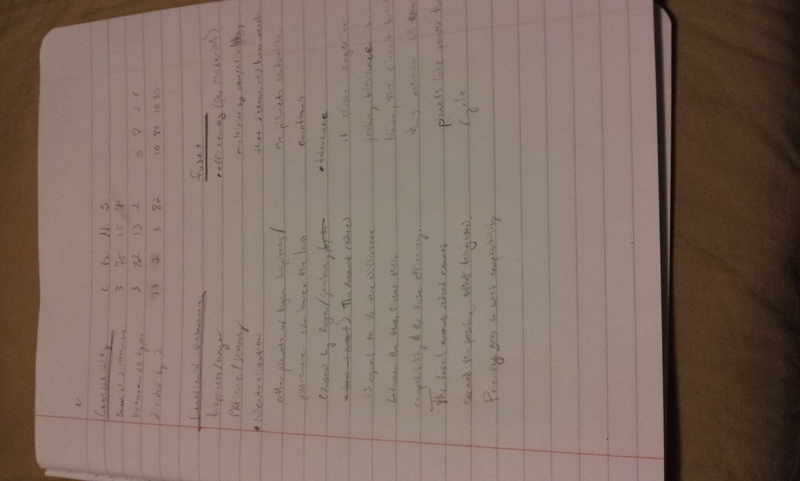 The funny thing about mentally writing out code, is that it’s a completely useless activity. When I felt good enough to try and implement it, everything fell apart on me. I had planned on whipping up those last two screens and then playtesting the game for bugs and balance. What ended up happening was a mad dash to get the interfaces working that ended about 15 minutes before the deadline. I decided that I was done, and 15 minutes wasn’t enough time to get any of the last things I needed from where they were to where they needed to be to even be passable. 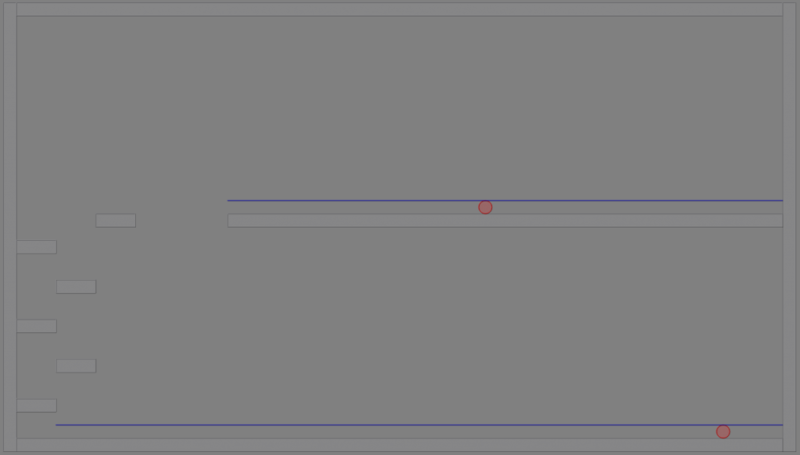 I set to build my project and upload, and then Unity decided to remind me why I hate it so much. Apparently the method I was using to color the planets with HSV colors was only available when you ran the game through the editor. It wouldn’t even compile. Fortunately, HSV to RGB implementations are a easy to code, so I started throwing one together. In the past I’ve worked on them with hue being an angle from 0 to 360. Unity’s method had it as a float from 0 to 1. No sweat I thought, I’ll just multiply it by 255. If that doesn’t make sense to you, it’s because it shouldn’t. 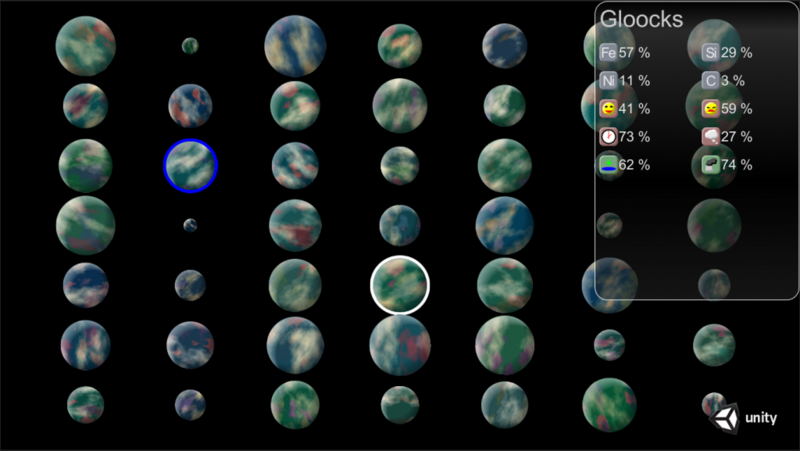 All of the planets turned green because I mixed up angles with rgb values, but I didn’t have time to figure out why. Up it went, and just like that it was all over. I’m glad that I made the choices I did. I learned more about unity and its UI features in this past weekend than I have in the past four months. 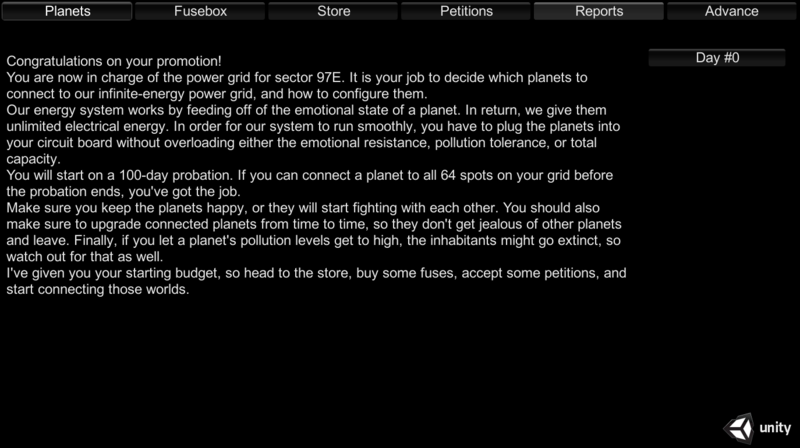 Sure, I could have scrapped the planet interface and focused more on good UI, and I probably would have been better off spending time on tutorials rather than tweaking button positions. Given the constraints I was working under, I’m really happy with how things turned out. I do have some ideas for how to improve next time though. Simple design with good balance – I had so much time away from the computer that my end product was as overly complicated mess, and there’s really no way for the average player to figure out what’s going on. Having a more simple design with a better balance would have been a better approach. Instead of having four types of compatibility and a two-hundred line calculation for fuse load, cut it down to two stats and spend more time on making sure the numbers work out over the course of the game. Interaction before eye candy – My planets look way better than they need to for a game that is mainly driven by button clicks. If I had put that off until the end, I would have been able to see that before wasting time on them, and I might have had time to implement things like a proper tutorial or a win condition. Playtest as early as possible – I put the core logic off for so long, that by the time I had it finished, I was already in crunch mode. This left me no time to make sure the numbers worked out, or that the game was even fun. With a game like this there’s really no excuse, I could have had unit tests written to test out the formulas and algorithms through all 100 days by Saturday morning if I had prioritized it. Good balance is going to be my main goal for next time. That about covers it. I had a good time, and in the end I have another game to throw on the website and say “look what I can do in a weekend.” No matter how bad I do, or how stressful it is, that sense of accomplishment will always be worth it.